What is the fastest way to improve 5-axis production? 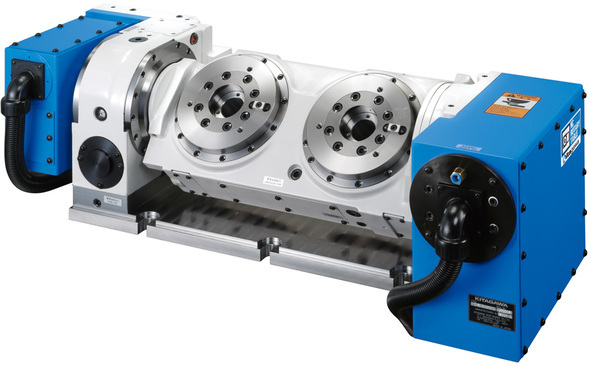 Kitagawa's TW2180 Rotary table provides 2 x 180mm faceplates with high static clamping force and cutting torque for true 5-axis machining. Each face plate can machine a part diameter up to 240mm. The TW2180 has a compact design that allows it to be fitted onto small type 30 taper machines as it is only 999mm in length. Completely built-in rotary joints are available as an option delivering 5 ports per spindle without increasing external dimensions.